Developing a website without a good search engine marketing strategy is much like building a house with no roads or sidewalks connecting to it. Properly optimizing your site will mean major search engines like Google can effortlessly read and translate all of your content, as well as navigate in and out, without complex doorways or human actions to negotiate. You’ll want to ensure you’ve structured your website correctly, with keyword-rich headers (H1, H2, H3 hierarchy); page titles & supporting content also containing keywords that are relevant to your business. All the while matching keyword targets that have potential to yield significant volumes organic search traffic. Search engines are constantly indexing and crawling cyberspace, on the lookout for unique, rich and relevant content, so analyze your pages objectively to determine how well your content matches search queries. Your website’s trust and authority will be assessed, largely on the amount of unique information offered. Have a good look at your own content and ask yourself how much information your website offers to support targeted keywords. As always, content is king. Base your website content around your user experience first, instead of SEO keyword stuffing tactics. 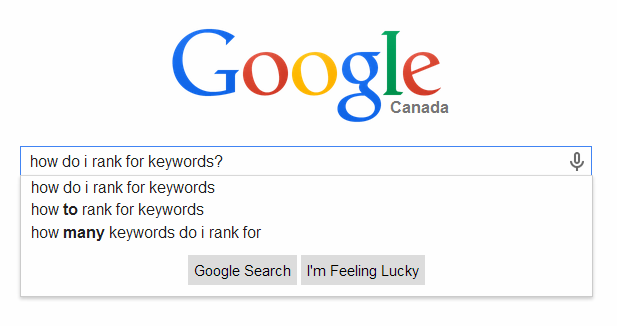 While creative use of keywords are important, evenly balance these with a good amount of information on each topic. Visitors to your website will in turn be seeking information that match their search queries -does your site answer queries and offer unique perspectives? Are you cleverly stuffing keywords onto endless pages of boring and irrelevant content? Yes, you may win some traffic by ‘link-baiting’, but your website may ultimately fail to convert its traffic into sales or inbound leads. Aside from offering creative and well written content, images, the proper use of title tags and URLs are something you’ll also want to pay particular attention to. These SEO best practices, will help search engines clearly determine what your website is about. Create several internal links will help Googlebots with crawling and navigation. If you don’t know much about how back-links work, that might actually be a good thing, if you’re new at the SEO game. We receive many calls from businesses that have been penalized by search engines for their past participation in ‘link-farming’, ‘blog spamming’ and other ‘black-hat’ methods. Most of these penalized businesses have had newly launched websites that they were in a hurry to climb the search engine ladder with. Looking for shortcuts with SEO companies that are offering easy answers and so called ‘quick fixes’ may get your website penalized. Be realistic with your expectations, keeping in mind that top search engine rankings can take anywhere from several months to a couple of years, depending on your industry and competition level. Once upon a time, major search engines would evaluate your site’s worth and rank largely on the sheer number and “weight” of inbound links it was associated with. Fast forward to today and, not surprisingly, back-linking alone does little to positively impact your website’s ranking -and in some cases, too much, too soon, has the opposite effect. Use common sense when creating a positive linking profile online; go for quality links versus quantity. Posting ‘share-worthy’ articles onto websites that offer good information on your industry and business is usually a safe bet. Ensure that any website that links back to your own has a good Page Rank and linking profile. Don’t waste too much time or money on websites that offer directory listings for a fee, as search engines are historically placing less and less value on these. On the other hand, networking your business through discussion forums, marketing directories and many online communities that focus specifically on your business and industry can be a great way to win more quality traffic, either with direct click referrals or with customers searching for your product or service online. Citations and social bookmarking are indexed areas of the Internet which mention your business name, are indicators to search engines, helping them understand how much your website is being talked about and ultimately can propel your rankings further.